The hard crunchy texture of paunut brittle is like candy and great for continuous munching throughout the day. The peanuts mixed with the cannabis can also act as a brain booster and wouldn’t be a bad idea for a snack if you’ve got some thinking planned somewhere in your day. 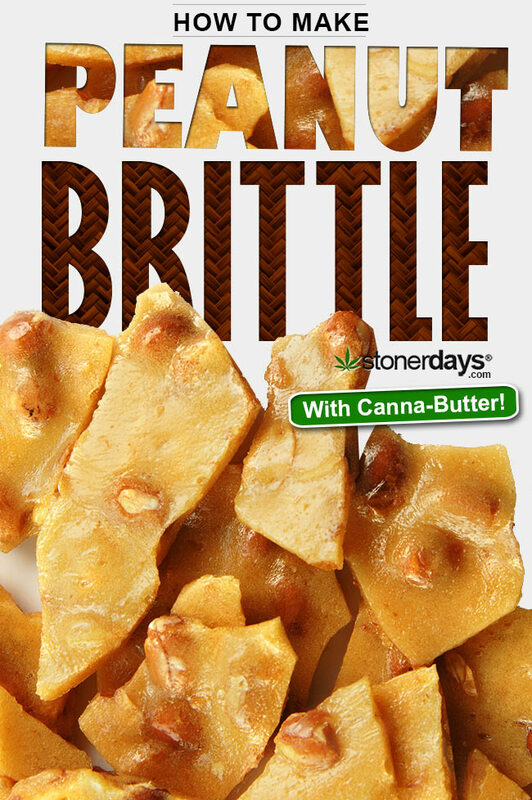 This is one of those high treats that’s so easy to keep eating and before you know it you’ve got this beautiful buzz going on, some pretty amazing brittle. 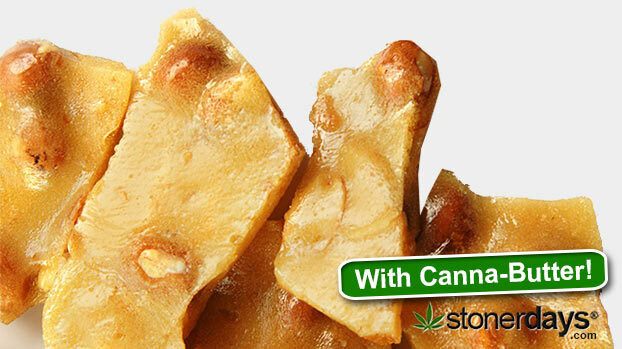 Learn How to Make Marijuana Peanut Brittle! Cover a large cookie sheet in wax paper, and heads up you’ll be needing a cooking thermometer. In a large saucepan combine the sugar, corn syrup, salt, and water and cook on medium heat bringing it to a boil. Make sure you rememeber to stir frequently so nothing burns. After all the sugar is dissolved it’s time to mix in your peanuts. Be sure to check your handy dandy thermometer and cook until the temperature reaches 300 degrees. Remove from heat and immediately mix in canna-butter the star of the show, and baking soda. Then put the entire mixture onto the cookie sheet. With 2 forks, spread the brittle onto the cookie sheet and cut them into shapes. Let it cool and become hard, then break the brittle pieces apart and prepare to get peanut brittle stoned.